What is the Four Seasons Hotel, Boston Project? Four Seasons Hotels and Resorts is a leading global brand for luxury hotels and residences. Four Seasons operates 99 hotels in 41 countries, and Four Seasons private residences are in 25 locations internationally. Four Seasonsâ€™ objective is to be recognized as the company that manages the finest hotels, resorts and residence clubs in any location in which they operate. The Venture expects that the inherent quality, sophistication and elegance of the Property, when combined with the Four Seasons brand, will result in a hotel attractive to the most discerning guests, and condominium residences attractive to the most discerning buyers. Prestigious Property Developer - Carpenter & Company (Founded in 1898!) is the experienced and successful Property developer, and they have substantial experience of developing hotels, mixed-use projects and retail properties. Previous projects include: the St. Regis San Francisco Hotel and Residences, and in the Boston area, the Liberty Hotel, the Logan Airport Hilton, the Brookline Marriott Courtyard, and Charles Square and the Charles Hotel. Richard L. Friedman has been President of Carpenter & Company, since 1973. He is the former Chairman of the National Capital Planning Commission under President Clinton. Mr. Friedman was appointed by President Obama to serve as Vice Chairman of the Presidentâ€™s Export Council and is a Director of Four Seasons Hotels and Resorts. Leading Architects - Pei Cobb Freed & Partners, Architects LLP have completed nearly 250 projects, since their formation, and the firmâ€™s clients have included major corporations, private developers and public authorities, as well as educational, cultural and religious institutions. Projects completed include: Fountain Place in Dallas, the ABN AMRO Bank Head Office in Amsterdam, the Tour EDF at La Defense in Paris, Grand Louvre in Paris and the Bank of China Tower in Hong Kong. 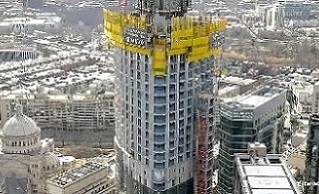 Legendary and renowned Architect - Henry Cobb, who was instrumental in designing Boston's tallest building, the John Hancock Tower, has designed One Dalton in collaboration with Gary Johnson of Cambridge Seven Associates (Skilled Boston Design and Architect company, founded in 1962). Five Star Hotel - Many of the Four Seasons Hotels have been awarded Forbes Five Star awards, in 2017. One Dalton Street, 4 Seasons Hotel Features - Luxury high rise development with exclusive amenities, which will redefine the skyline, situated in the exclusive Back Bay suburb of Boston, Massachusetts, within walking distance to the finest boutiques, galleries, cafes and restaurants. One Dalton Street is a 215 room Four Seasons hotel occupying the lower third of the building, and Four Seasons private residences comprised of 176 ultra high-end condos comprising the upper floors of a 700 foot tall building (61 stories of stunning, un-obstructed views). Development of Park - The Project will also include the development of an approximately 4,700-square-foot parcel of land across the street into a park for the Project. Billionaire Investors - There are 5 billionaires that are joint venture partners in the project, including Bill Gates through Cascade Investments. 1. Employment - Boston metropolitan area total employment stood at 2,625,600 in February 2016, up 46,800 from one year ago. 3. Population - Population in the City of Boston is expected to increase by approximately 35,000 people between 2018 and 2023. 4. 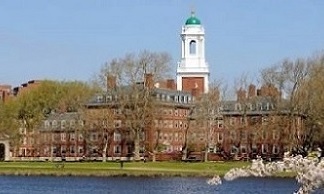 Education - There are over 50 colleges and universities located in the metropolitan Boston area including world-renowned institutions, such as Harvard University, Massachusetts Institute of Technology (MIT), Tufts University, Boston College, Northeastern University, and Boston University. 5. Tourism - The rich history and culture of Boston attracts regional, national, and international visitors year-round, especially during thesummer and fall seasons. Project Capital Stack - The Developer has confidently contributed $257 million (29.5%) in equity, and the Bank Loan is 52.1 %, with EB-5 Investor Money expected to be only $160 million. Note that the bank loan has already been executed for over 2 years, which is confirmation that the project will be built and completed. Investor Security - EB-5 money will be a first lien on the Hotel that is already under contract to be sold for $268 million after completion! This means that there is $100 million equity in the hotel and the loan to value is 60%. This allows the Project to only use construction expenditure jobs while still having a first lien, and this is the strongest possible position an Investor can have for their repayment. Exemplar Approval Project - The Project has I-924 Exemplar Approval, and many I-526 approvals already. Note that not all Regional Center Projects will choose to apply for exemplar approval because of the stringent standards set by USCIS and the rigidity it imposes in project planning. Investing in exemplar projects does, however, provide investors with the assurance that their project has been preapproved. The project has been evaluated and certified by USCIS to meet certain criteria delineated in the EB-5 requirements. The EB-5 Investors benefit from faster processing times for pre-approved projects, which are often significantly shorter than for non-exemplar projects. It is anticipated that the One Dalton Street project will create approximately 4,748 total construction expenditure jobs. This 1.5 times the number of EB-5 jobs needed.These jobs include: both direct and indirect jobs arising in the United States from multi-family residential building construction activity in Year 1; both direct and indirect jobs arising from architecture & engineering services activity in Year 2; and only indirect jobs arising in the United States from sitework in Year 1. As at May 2018, 4,542 jobs have been created, after 2 years of construction. The project is scheduled for completion by December 2018. Targeted Employment Area (TEA) - The project is located in a Targeted Employment Area (TEA), with the unemployment rate of the proposed project area at 7.5% (above the minimum rate of 7.4%). This means that the minimum EB-5 investment amount is reduced to $500,000 per investor. Guarantee To Refund - If the I-526 Petition is denied, there is an agreed and guaranteed refund of the Investor's funds, invested in the project. The Project Economic Consultant - Jeff Carr has more than 34 years of experience as an economist/analyst, with particular expertise in economic impact studies,and business plans for submission to the EB-5 Program. The new job totals in each year are as follows: Year 1: 2,680 new jobs, Year 2: 3,033 new jobs, Year 3: 556 new jobs. A 3-year cumulative increase of $1.31 billion in output. A 3-year cumulative increase of $626.55 million in labor income. A 3-year cumulative increase of $541.92 million in household earnings.